Keen to move away from price-based competition and create unique identities in the market, mobile operators are embracing Customer Experience Management (CEM) as a key differentiator. But just how much of what we hear on the CEM topic reflects real commitment and activity—and how much, for the moment, is just talk? 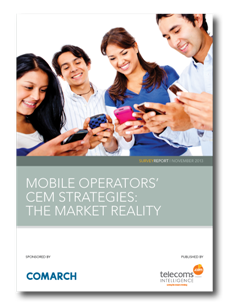 Telecoms.com Intelligence asked European mobile operators for insights into the CEM strategy. 43% of respondents have no integrated CEM programme in place. 23.5% have no established timeframe for the introduction of such a programme. 27.5% of respondents said their companies are only applying CEM strategies to enterprise and high spend customers.